San Miguel's lips are sealed as far as the dugout drama involving import Tyler Wilkerson is concerned. But here's what we gathered from insiders. 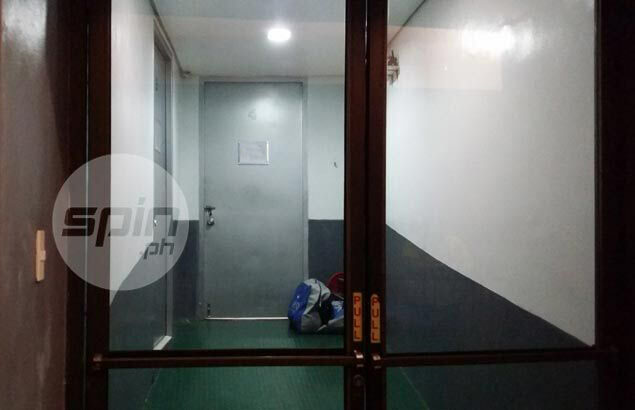 EMOTIONS flared inside the San Miguel Beer dugout after a heartbreaking 96-98 loss to Rain or Shine in Game Two of their PBA Commissioner's Cup semifinal series, the shouting muted and kept away from the prying media by the locked locker room door. Inside, the conflict soon boiled over when head coach Leo Austria spoke, immediately taking import Tyler Wilkerson to task for some late-game errors as well as his refusal to follow the team's set plays which, the coach said, threw off the rest of his teammates. "Sinisi kasi ng diretsahan yung import at parang sinasabi na kung sumunod siya sa utos ng coaching staff, hindi magugulo yung roles ng ibang players," said an insider who asked not to be named. The outspoken Wilkerson, of course, didn't take the tirade sitting down, passing the blame to his coach for his lack of adjustments on defense. According to another insider, SMC sports director Alfrancis Chua soon joined in. Chua, who is also team manager of Ginebra, also confronted Wilkerson, essentially saying that the import can go home anytime if he cannot play with the team. Wilkerson, perhaps feeling that he was being ganged up on, stormed out of the dugout, sources said, while shouting, 'Take me back to America,' - loud enough for mediamen waiting outside the SMB locker room to hear. The enigmatic import was later persuaded to rejoin the post-game meeting by assistant coach Dayong Mendoza, but by then emotions have simmered down. Before breaking up the huddle, officials issued a stern gag order on the team, for fear that a leak would have the media and fans feasting on the spectacle on social media. "Pagbalik niya (Wilkerson) nag-usap lang saglit at dun nga sinabihan ang lahat na wag nang magsalita sa media," said the source. "Away kasing umaatikabo ang nangyari sa dugout tapos may opisyal na involved kaya ayaw na nilang pagpyestahan pa sa press at social media." Despite the furor, insiders expect Wilkerson to play in Game Three on Thursday, insisting that team officials and Wilkerson have already sorted out the mess on Wednesday morning before the Beermen gathered for an afternoon practice which the import skipped. Wilkerson's no-show in practice, one source said, is a logical move since it could help cool down the situation with Austria while throwing off Rain or Shine. There is just so much at stake for SMB not to play Wilkerson, the source said. "Mukhang papalaruin nila. Nag sorry na yung import di ba? May nagsabi naman sa inyo, kalmado na siya. Pero hindi na pinapunta sa practice para mapahinga na rin," he said. "Tingin mo ba susuko agad San Miguel sa laro na crucial para sa kanila lalo't gusto nilang mag grand slam ulit?" he added.